Branding is everything. When you’re starting a blog, a website or a new business, one of the most important things to do is to create a visual image of your brand so that your potential customers can remember you the next time they need your particular goods or services. When it comes to this image, you simply won’t find a better way of reaching repeat customers than selecting a business logo that’s memorable. We all know several logos by heart. For example, who wouldn’t be able to recognize the brand Nike just by the famous swoosh? Another example of the power of the logo is McDonald’s famous golden arches, which have become iconic. While these businesses are typically famous for the brick and mortar retail and dining experiences, logos can be very important in the digital world as well. The Amazon’s of the world all depend on having a striking, professional logo to help them gain recognition for their e-commerce services, and you, as the person just starting out in this industry, can also use a good logo to capture the hearts and minds of your potential clientele. So, where do you start top create the perfect logo? Currently, one of the biggest misconceptions out there is that logo creation requires that you hire an expensive graphic designer to create your brand’s logo. If you opt to go this route, you can definitely end up paying thousands of dollars in the process. Fortunately, this isn’t always required and even online business-people that are just starting out can create striking logos if they use one of the online world’s free logo creation tools. With or without a team, it’s a great idea to sit down and brainstorm some ideas for your professional logo. This part of the process can include sketches that play around with some of the potential design elements of your prospective business logo. During this part of the process, you can also mess around with font types, font sizes, different images, or even variations of the established color scheme. One of the best aspects of the modern logo maker is the ability to pretty much go with any color you want. For this reason, it’s a good idea to pick a color scheme that represents what your ecommerce page has to offer because you should have no problem bringing these colors into your finished logo. With one of these services, you may have to learn the hex code of these colors, but fortunately, there are more than a few pages out there that can give you the codes of your desired color scheme. What are you trying to say with your logo? It’s imperative that you make sure that your logo is sending a message to your potential clients/customers, so think about how to convey a message that each person will take away after viewing your logo. These should almost invariably represent the services you provide, but including your company’s vision and mission is also important too. Imitation is always the sincerest form of flattery, but finding out what works for your competitors and using it is also a great way to get ahead as well. Remember, your successful competitors very carefully picked what they thought would work for their business, so take the time to learn how they made their logo work. Sometimes, you can even discern what doesn’t work with your competitor’s logo, which can actually help you get ahead in the process. It’s also important to note that you should do this across a wide array of competitors so that you can have a more complete picture of what works and what doesn’t. Once you’ve established what you want for your new professional logo, it’s time to start working with one of the tools for logo generation on the net. 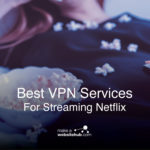 In the guide below this section, we hit on 20 unique services, but there are more out there if these don’t work for you. 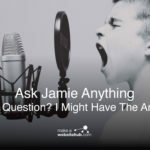 In any situation, a service like this typically will provide you with a series of unique images that you can select from as visual components of your logo. Once you’ve selected the one that works best for you, you’ll be able to add your color scheme elements to the image. Next, most tools will allow you to be able to select a text box in which you can place your company’s name or initials. Like the image, you’ll be able to select colors for the text. Additionally, most of these tools will also allow you to change the font size, change the image’s orientation, or even change up the font. Once done, you’ll be able to change the size and resolution of the image so that you can use it for the corner logo or for a central site logo. Your logo is going to potentially be seen by thousands if not millions of your ecommerce visitors, so it’s a good idea to show it off and see what others think of it before the logo goes live. Your small sampling of opinion can help you adjust aspects of your logo so that it can appear more attractive to your clients/customers and be the perfect logo for your business. One of the coolest features of Logo Makr is the fact that it has so many unique icons to select from. This is primarily due to the fact that the company grants access to the icons that you can find at Flat Icon, which means that there are literally thousands of icons to select from. In addition to these icons, you will also be presented with access to several shaping and font icons that will allow you to fully customize your logo so that it matches your design goals perfectly. You can export the high-resolution logo in a variety of formats from jpg to png. UCraft is a logo creator that can help you create a fairly engaging logo in less than a half hour. While you will have to make an account to export images, the brevity of the process makes this slight foible very trivial. UCraft is actually a website builder that has its own logo maker included, and despite the fact that the company specializes in other aspects of the industry, their logo maker is fairly robust. Like many of the other generators, UCraft’s setup requires that you select an icon and customize text. Where this particular logo maker stands out is in its choices; when you work with UCraft, you’ll have access to more than 220,000 icons, which will grant you a bevy of options. To access the logo maker from UCraft’s site, you’ll simply need to access the drop-down menu item under “tools” and you’ll be able to start. Confused? Check out their video so that you can be walked through the process. 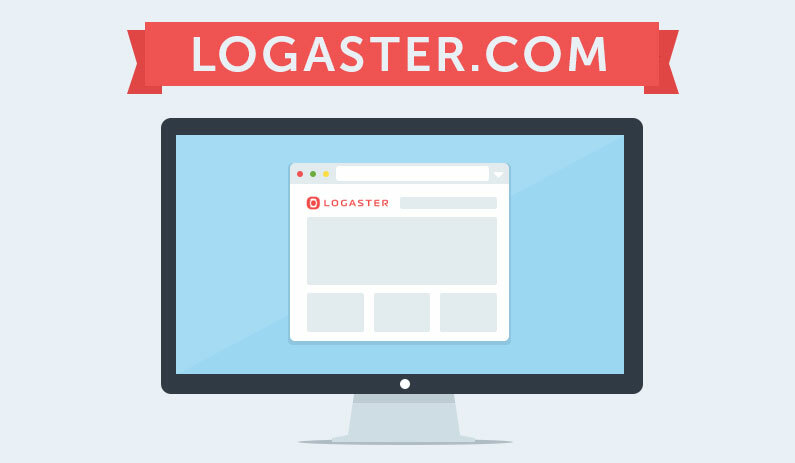 It only takes about four steps to craft a professional, high-resolution custom logo using Logaster, which is very useful for entrepreneurs and business owners that are trying to get their ecommerce page live in short order. 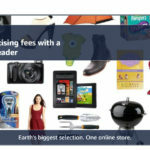 As a result of this ease, Logaster is one of the more well-known solutions for stunning logo generation on the market. The site provides a fairly automatic experience, and you’ll be presented with several logo options once you get the ball rolling, which means that you should be able to find something that matches your needs. Similarly to other logo makers on the market, the site does its level best to provide you with logos that may appeal to your design sensibilities. Once the logos are generated, you can click a heart icon to let them know that you enjoy logos of this particular type. Low res logos are free, but if you’re going for a higher-res photo, expect to pay a small fee. Canva is one of the best social media image tools on the market. You can create beautifully designed social media profile images, banners, pins, twitter headers and logos for your business or brand. Before looking at Canva, it’s important to note that, like Logaster, not every logo on this site is free. That being said, if you select this logo maker, you’ll also have access to generators that can help you craft flyers, invitations, and even business cards as well. This means that this is a fairly fully-featured service that can be fairly beneficial to new entrepreneurs looking to build their brand alongside their ecommerce initiatives. One of the most useful features of Canva is that you can use your own graphics in the process. This means that if you have design skills or have hired a graphic designer, you can still utilize the logo maker. Canva allows you to generate high-quality logos in a variety of logo file types ( svg, png, jpeg, tiff, gif ); in fact, you can even craft logos as PDF files. Every high-resolution is included when you use their free logo templates, which is a great way to save some dough. Also if you want to put your logo on business cards, t-shirt, coffee mugs, smartphones or any other place offline, then you can because you have the high-resolution artwork to give to your printers. With a name like “Free Logo Design,” there sure aren’t a lot of ways to be confused with this particular site. The page itself is designed to be user-friendly – to design your logo, you simply modify the page’s four selections: text, shape, icon, and logo. Within these elements lies a wide variety of design choices and logo templates. As one might expect, the text selection is where you’ll place the name of your ecommerce page. Within this section, you can change the color, the letter’s design orientation, and the font. Shape, as one might expect, allows you to add shapes to the composition, and you’ll be able to rotate, duplicate, and change the color of your geometric element. One of the best features of this product is its ability to allow you to do icon searches. Clicking ‘Icon’ won’t just give you a choice of several icons, but it provides a search field for you to search out specific elements. The ‘Add Logo’ button will utilize a selection of pre-selected logo types that the platform generates. When you access one, you can use the other selections to change up the design notes on these auto-generated logo elements. Free logo design is worth a try as it’s one of the better free logo creators. If you’re looking for a site that can quickly generate a logo that can help you attract customers, then Online Logo Maker is an excellent option. This is one of the few logo makers that will allow you to upload your own images, which is perfect for those entrepreneurs that have a preexisting logo or those that want to incorporate their favorite image into the final logo. On top of this great functionality, Online Logo Maker also comes with a fairly robust logo creation suite that will easily provide you with top-notch fonts, some great colors that allow you to use hex codes, and some symbol and shape options as well. The logo creator even allows you to save your logo and access it later when you want to edit it. This can be very useful down the line when you want to execute a redesign. For those that want an even fuller package of features than the plethora of great features that are included with a free plan, there is also a premium plan that has higher resolution downloads and even includes some great-looking effects like transparency. This logo maker is fairly unique; you only have to place your business name into its field and it automatically generates a series of logo options that you can select from. The software does this without having any details about your business, so it could be fairly off-base, but in many situations, the selection of options they provide will give you at least a lead on your new logo. While this can be a bit hit or miss, the logo maker definitely helps you neatly sidestep the need for almost any design knowledge, so there’s definitely some value in the platform. Also, you’ll easily be presented with more than a few pages of logos, so you’ll definitely have a wide variety to consider. With a name like SquareSpace, which is one of the most recognizable names in ecommerce, it’s safe to assume that you’re going to have some great options when trying to find a logo that fits your ecommerce site’s desired aesthetic. The SquareSpace logo design platform actually provides a fairly robust experience, which can become even more comprehensive if you opt to purchase a membership. With the free service, you’ll be able to craft a lower-resolution logo that has a wide array of design options. The sheer amount of icons that SquareSpace provides is staggering; in fact, you’ll even be able to use a built-in search to narrow your selections down a bit. For instance, typing in “clothing” will populate the icon selection with a wide variety of clothing icons. Once you’re done, you can select, “save logo,” and you can simply download the finished product. Hipster Logo Generator is all about minimalism. Any logo created through this site is going to leverage simple shapes and design notes that will help your logo pop without being too busy. 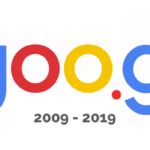 In fact, the site itself was created as a lark, but the creators must have gained some degree of appreciation for the logos that were being created because now the formerly tongue-in-cheek site now provides a wide array of options when it comes to logo generation. Logos generated here typically leverage simple shapes like X’s and diamonds and typically have fairly simple text. In fact, the page has a “Choose Your Base Shape” section to the right that grants you five potential shapes for your logo. If your particular business is designed to reach the hipster generation, the simple yet snappy designs available on this site can be very useful. When you’re using MarkeMaker, which is a tool found on embemmatic.org, you’ll find that much of the work is done for you right off the bat. To start, you simply input your company’s name. Once you select “Generate Logo Designs,” you’ll be presented with several log options. The site then asks you to select which logos work best for you by clicking the heart-shaped icon. Once this is done, the site attempts to learn your preferences so that you can have an easier time in the future. From the presented logos, you can simply click the pencil icon, which will allow you to tweak the selected logo. From the editor, you can choose the font category, the weight, the style, and even the hue and saturation of your new logo. In fact, you’ll even be able to select how many lines you want your logo to display on. For the most part, you won’t have some of the design options of many of the other logo generators, but you can’t beat the simplicity of MarkerMaker. If you’ve ever used the program GIMP, then you will kind of have a good impression about how Vectr works. In fact, the software used in this program can even feel a bit like a scaled-down Photoshop, which means that it has a VERY useful set of tools for ecommerce logos. That being said, it might be important to note that it is certainly more complex than many of the web-based logo generators that we’ve covered thus far, so a bit of design experience or some patience might be fairly useful. A nice feature of this program is that it isn’t exclusively web-based, so you can opt to tinker with your logo while you’re on the train and disconnected from the internet. Since it’s designed the way it is, you’ll also be happy to know that there isn’t an additional charge for higher res logos. Simple is sometimes better, and the logo maker at Hatchful provides a very user-friendly experience for those entrepreneurs that may not have the design savvy to create a fantastic logo from scratch. Getting started is simple; the site will ask you your business space, which can help the logo maker provide a series of appropriate images for your particular industry. Next, it provides a listing of visual styles, which will narrow down the provided selections considerably. Finally, you’ll have to answer where the logo will be used. Once this information is provided, you’ll be presented with a plethora of potential logos that you can then edit in a more in-depth way. The page typically provides you with a selection of images that will represent the changes, so don’t expect to edit too much of the logo’s more minute aspects. That being said, this system is nice and simple, and if you’re just looking to use a meaningful logo that has a decent amount of editing options, then Hatchful could be a good choice. One of the nicest features of Tailor Brands is the fact that it has an analyzer that can help you determine the best visual style for your new logo. For those that aren’t artistically inclined, this is a perfect tool that can help you develop a look and feel that can help your company grow and be recognized by your ecommerce visitors. Getting through the setup process is somewhat detailed – the tool even will tell you if it thinks the text in your logo is a bit too long to be viable. In any situation, Tailor Brands logo maker also will give you an “A” or “B” test that will help you find which visual style best fits your font needs. After this part is done, you’ll be able to select from several icons that originate from Noun Project’s catalog, which means that you’ll have quite a few to select from. While Logojoy isn’t 100 percent free, it does allow you to create your logos without any costs. This means that you can explore the logo generator and make a series of logos that can be purchased for your ecommerce sites. The site is actually one of the most popular logo generators on the market and you’ll be amazed at just how many options come bundled in with the logo maker software that they use. Additionally, this is a great choice for just about any ecommerce site owner that doesn’t have a lick of design skill; almost everything is virtually automated so that you can quickly find the logo that fits your business. Once you’ve found what works, you do have the option to alter things like font and color scheme, but the options that they provide are fairly extensive so that you don’t have to do any design work at all. Logo Type Maker is another great logo maker that doesn’t ask for a lot of design skills from its users. One of the best aspects of this particular logo creator is the fact that the site will populate a visual list of logos as you type in information, so effectively, you’ll have a real-time representation of your potential logo. Once you’ve made a selection, you can opt to further customize your logo. The actual customization software used on the site has a very intricate set of options – you can add or drop shadows, you can rotate, or even add clipart to the logo if you want. The actual logos, unedited, look great, so if you don’t want to go into details, you shouldn’t run into any issues. One of the chief selling points used at Graphic Springs is that you’ll be able to craft a unique logo in less than a minute. In fact, this is definitely a goal, but whether you’ll want to spend so little time creating the logo that your brand is going to be known for is another consideration altogether. With that said, this program is definitely easy to use – the site asks you to first enter your business name and then continues through a fairly automated process that lets you select an image category and will permit you to edit your image’s overall design. The editor itself will allow you to add a glow to your text, add shadows, and work with the orientation as well. Overall, it’s a fairly simplified system that can be perfect for an entrepreneur that’s just looking to get quickly started out with a fairly good-looking logo. Logo Foundry provides an all-inclusive experience that caters to both designers and people with little design experience. Not only does the logo maker support a virtual ton of symbols and icons (over 3,000), but the Foundry also has support for both iOS and Android devices, which means that you can tinker around with your logo while you ride the bus. In fact, this is the only logo maker on this list that functions primarily as a smartphone or tablet app. One of the best features about Logo Foundry is the ability to tap into the work of other users. The app has its own community, and these community members upload their created logos, which you can then download and repurpose for your own ecommerce page. It even has support for both .PNG and .JPG images. This particular logo maker is a good option for just about anyone that wants to create a fairly unique-looking composition. Not only does it have the standard tools, which allow you to customize your logo’s fonts and sizing, but when you use the search field, you are also granted access to thousands of beautiful icons that can represent a wide variety of themes. Furthermore, this particular logo generator also provides a unique set of effects that can be applied to the icon and the lettering. This includes adding a bit of visual distress, reflections, shadow, or shine to the logo. If you want to craft a logo that has its own fair share of file formats to choose from, then Logo Genie may work for your needs. For example, not only can you create logos in .JPG or .PDF formats, but for those that want to use transparencies, .PNG and .EPS are also available. Similarly to some other logo generators, Logo Genie asks you for some information about your company and then provides you with a list of potential designs. Once you select the one that works best for you, you can then edit the icons, the text, and even the background color of your logo. The design tool also stands out because of its comprehensive grid format, which can help you have a more precise-looking logo. Our final logo maker is perhaps one of the simplest to use. 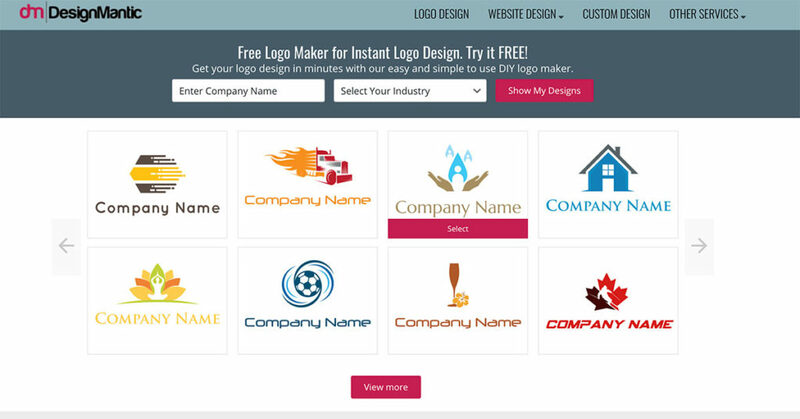 For example, the first step will have you select a category for your logo. The categories are grouped alphabetically and each letter of the alphabet has several choices. Once you’ve selected the category, you can then select an associated icon. Finally, you’ll be presented with the logo customization tool, which grants a good level of freedom in the design process. 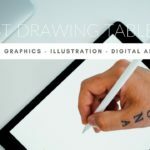 In many cases, the final product tends to be fairly simple, but there are more than a few options for graphic designers that want to add some unique details as well.